As the Fall semester comes to an end and the holiday season swings into place, it’s hard to imagine that this could be a trying time for a University student. 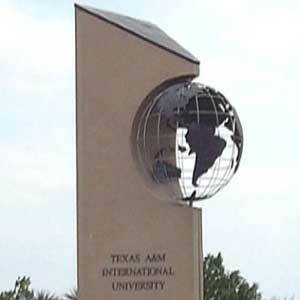 A new Texas A&M International University (TAMIU) student grant aims to ensure that unforeseen financial hardships can be addressed. “Our Student Emergency Grant is designed to help enrolled students who may find themselves in a challenging time of financial hardship. For qualified students, it can provide an award of up to $1000 to help ease the burden,” said Mayra Hernández, TAMIU director of the Office of Student Conduct and Community Engagement. “For example, the Grant can be used to pay for a variety of expenses such as funeral expenses, transportation issues, daycare, medical expenses, utilities, rent, off-campus housing, safety-related needs and more,” she explained. Hernández noted that the Grant is available to undergraduate students enrolled during the semester in which the Grant is awarded who have demonstrated unforeseen financial hardship. Additional information is available from the TAMIU Office of Student Conduct and Community Engagement at 956.326.2265, or by visiting offices in the Student Center, room 226. University information is available online at tamiu.edu, by phone at 956.325.2180, by email at prmis@tamiu.eduand by visiting the Office of Public Relations, Marketing and Information Services in the Sue and Radcliffe Killam Library, room 268. The University’s story is also available on its social media channels on Facebook, Instagram, LinkedIn, Twitter and YouTube.